We love the teachers here. They make the classes fun while still learning taekwondo. We have been going for about four years now and they make us feel like family. I couldn't have picked a better place. Excellent instructors! My son loves every class and is always anxious to go back the next day. I love that they make you work for your stripes/belts nothing is handed to you. My son loves going to class - it's great discipline, exercise and self-confidence building. This is an awesome TKD academy with wonderful and friendly instructors!! Awesome school with incredible instructors. After 5 years, we still love it. Awesome instructors and awesome school. Love it. Awesome AWESOME instructors, putting my child in this class was the best thing I have ever done. We were looking for a place for our son that both pushed him physically, but also was a kind and safe environment. We found that at Glendale Taekwondo Academy. The instructors are caring and knowledgeable in what they are doing. I have found that they are not there just for a job, but love being there. Another great attribute of Glendale Taekwondo Academy is their schedule. Our son also plays flag football, and we have been able to fit in both activities because of the schedule that they have devised. 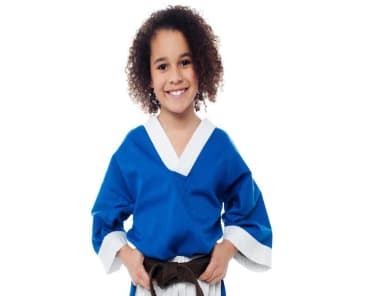 If you are looking for a taekwondo academy that cares for your child, your schedule, and your wallet, I would say that you need not look any further.